Located at a distance of one hundred and twelve kilometers from Jammu, Patnitop offers the tourists with a wonderful opportunity to explore their sporting talents. Amidst the picturesque landscape of the region, Patnitop is one of the prominent places that boasts of a plethora of Jammu and Kashmir adventure tourism. Surrounded by white snow clad mountain ranges of the mighty Himalayas, Patnitop provides the tourists with an enchanting view of the region coupled with many adventurous sports. One can experiment with his or her latent potentialities and sportsman spirit while indulging in the various sporting activities of Patnitop. An ideal place to enjoy with family and friends, the snow covered hills of Patnitop provides a unique opportunity for skiing. Dressed in the attire of a sportsman, the tourists go for skiing with the help and support of professionals who are adept in the particular sport.Endowed with natural scenic beauty, the exotic landscape of Patnitop enthralls and enchants the tourists with its captivating beauty. Vast stretches of barren land covered with snow, the swift flowing River Chenab and adventurous sporting activities represent the most sought after tourist destination of Patnitop. 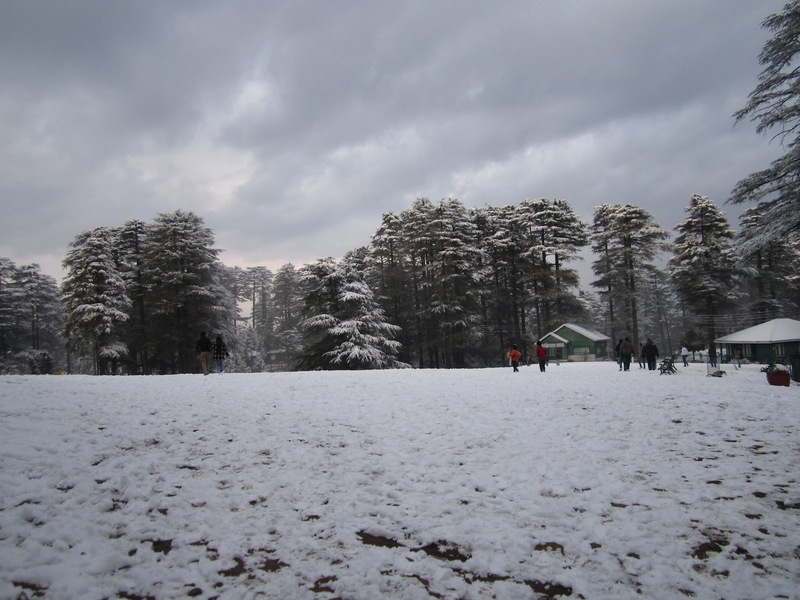 Patnitop provides the tourists with an excellent scope to explore the bounty of nature by walking on the snow covered lanes. Trekking is a common sporting activity of Patnitop. The tourists can trek to Shiva Gaur which is placed at a height of three thousand five hundred meter. Easily accessible from Jammu by road, the trip to Patnitop is one of the most exciting and thrilling sojourns to explore the exotic mountain ranges of the mighty Himalayas.